90 Day Fiancé is an American 120 minute reality romance television series, which kicked off on January 12, 2014, on TLC and is broadcast every Sunday at 20:00. The show is currently in its 6th season. TLC has officially confirmed the renewal of 90 Day Fiancé for Season 7. The exact release date is yet to be announced so far. Sign up to track it down. 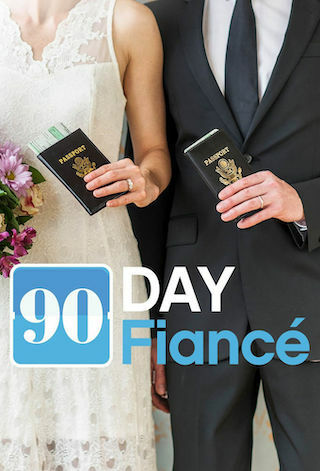 90 Day Fiancé offers a unique look into the world of international dating and matrimony. Using a unique 90-day fiance visa, the K-1 visa, four women and two men will travel to the U.S. to live with their overseas partners for the first time. The couples must marry before their visas expire in 90 days, or the visiting partner will have to return home. They'll have to overcome language barriers, culture shock and skeptical friends and family -- all with a clock that starts ticking the moment they step foot on U.S. soil. The stakes are incredibly high as these couples are forced to make a life-altering decision: get married or send their international mate home.